We are stoked for the next edition of Astronomy on Tap at DC9 Nightclub! 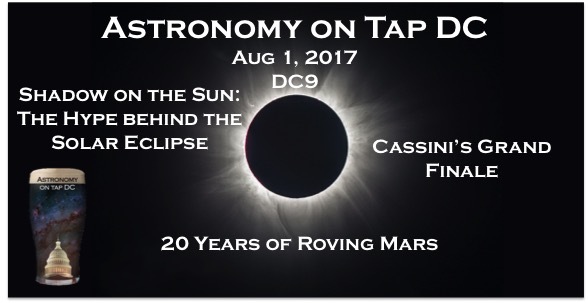 We have a fantastic set of talks, prize giveaways, and Astronomy on Tap solar eclipse glasses and pint glasses available for a small donation. We’ll also have telescope viewing on the rooftop bar after the talks, weather permitting.